"Sivard has painted a horse butcher with the boss and his helper on the door sill, the St. Denis baths, a laundry, a carpenter shop. 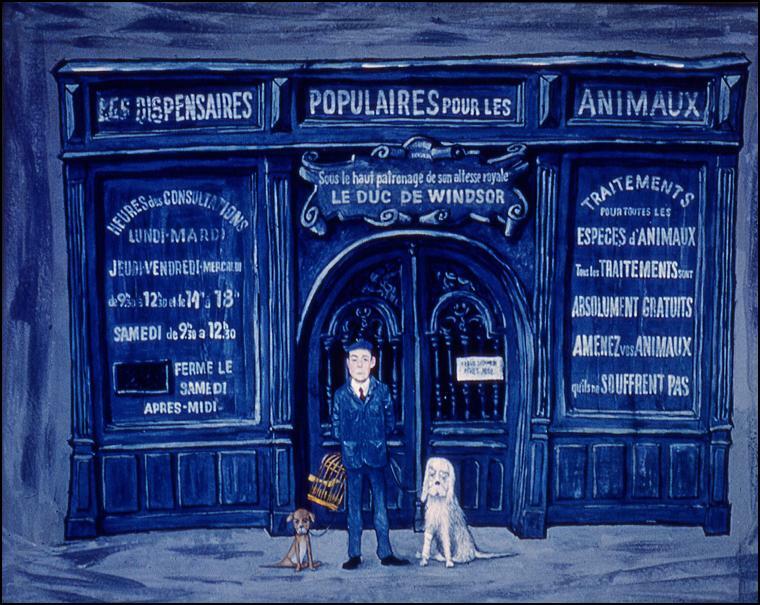 His masterpiece is the facade of the animal clinic on Rue St. Andre des Arts, which is patronized by the Duke of Windsor. The painter-diplomat has presented the Duke very irreverently: posed before the door of the clinic holding a bird cage and a poodle on a leash. The dog resembles His Royal Highness like a brother. One cannot be more sympathetic...he is probably one of the most valuable of the young American artists."